While government transparency can often be a vague concept, one concrete way to see what elected and appointed officials are doing is through live-streamed and archived video of public hearings. On Tuesday, Dec. 8, the little-known Commission on Public Information and Communication (COPIC) met for the final time this year at John Jay College in Manhattan. The meeting agenda was centered around the commission getting an update on the implementation of Local Law 103 of 2013, better known as the city’s webcasting law, which requires certain agencies to record all public meetings and make them available online. At the meeting, officials discussed progress on developing programs to provide training and equipment to municipal entities for webcasting; creating a central repository for municipal webcasts; and establishing COPIC’s own website. The goal of the commission, established by the City Charter in 1989, is to improve public access to City information and to develop strategies for the use of new communications technologies to improve access to and distribution of city data. 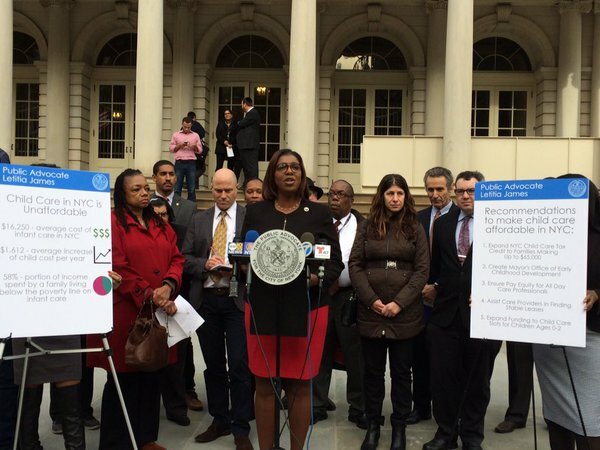 It is led by the Public Advocate, currently Letitia James, who has revived the commission since taking office in 2014. According to COPIC commissioners, programs to provide training and guidance to agencies looking to comply with the webcasting law are almost set, with the first “best practices workshop” likely to be held in February. The COPIC website should be operational mid- to late-January. The commission is still looking into better ways to provide webcasting equipment to agencies, and a venue to host a central archive of the city’s webcasts has yet to be determined. Nicholas Sbordone, a delegate to COPIC from the city’s Department of Information Technology and Telecommunications, kicked off the meeting by asking Janet Choi, general manager at the Mayor’s Office of Media and Entertainment, for an update on the plans to provide training resources and technology aids for agencies looking to comply with the webcasting law. Choi said that since the last meeting, COPIC has explored how to go about “providing the best guidance for all of the organizations and agencies to help them comply with Local Law 103,” and has examined the potential creation of a “lending library” to provide equipment for webcasting. As of October 20, 2015, under the webcasting law, 45 boards and commissions must webcast public meetings. According to Sbordone, many agencies subject to the webcasting law are either in full compliance or are willing to comply. Public Advocate James, chair of COPIC, turned the discussion toward the establishment of a central repository for municipal webcasts and the use of the City Record. Some agencies, Sbordone said, like the Taxi and Limousine Commission (TLC), will add links to their entries on City Record, which will link to their webcasting archives. “Going forward,” Sbordone said, when the Taxi and Limousine Commission makes “submissions to the city record about upcoming commission hearings,” they will add the link to their webcasting archives. “The shape and the form of what that takes is still yet to be determined,” Sbordone added, explaining that it could be something that the city hosts, or even a YouTube channel that contains all of New York City’s webcasting archives. 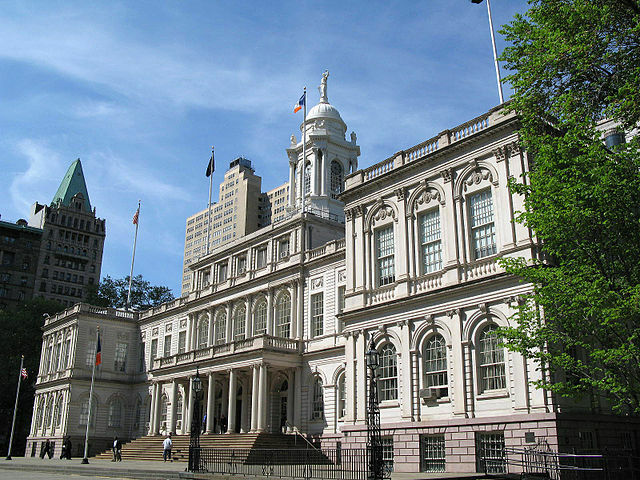 “I know the last time [we met] Commissioner Toole had suggested that the Department of Records and Information Systems could also be a possible venue” for hosting the city’s webcasting archives, James suggested. The discussion then shifted from the creation of a central repository for the city’s webcasts to the progress in updating COPIC’s own website. COPIC meeting announcements are currently available within the Public Advocate site. James added that the website should include a list of COPIC members with brief bios on each, then adjourned the meeting, with the next meeting tentatively set for February. 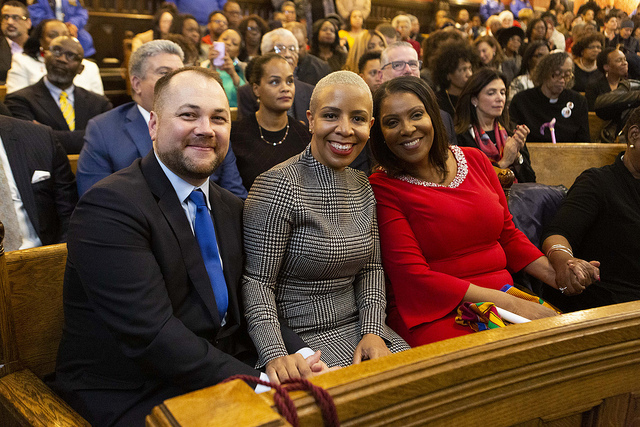 Under James, COPIC is more active than it has been in previous years - COPIC held only one meeting during Mayor Bill de Blasio’s time as Public Advocate, according to Politico New York. Though COPIC may have made some strides toward the goal of improving access to City information under the webcasting law, issues remain with both the access to equipment for webcasting, and improving the dissemination of data.